When selecting a cremation, there are several options to choose from. A full traditional cremation: which is a full service with body present in a cremation or rental casket. Body is embalmed for public viewing and instead of burial, the cremation would take place. 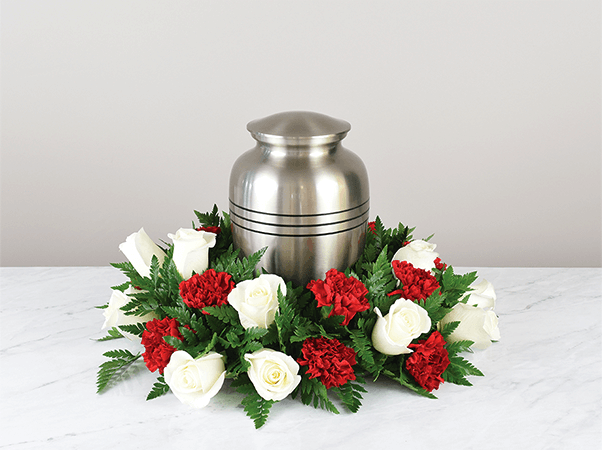 Cremains (ashes) then could be buried in a cemetery or placed in a columbarium, scattered or displayed at the residence. A Brief Viewing of deceased before cremation: For those family members to have closure and say their good byes. The body does not have to be embalmed (unless autopsied or condition that would require such.) Body clothed and placed on special viewing table and placed in small private room for the brief viewing by immediate family. This option needs to take place within 24 hours of death or embalming would be required for viewing. Direct cremation: is an option when family does not want any viewing at all, ceremony of any type, embalming, or dressing of deceased. This is an immediate option and in North Carolina cremation would take place after the required 24 hour holding period. Memorial services, graveside services and visitation may be held following above selections of the brief viewing and Direct Cremation. Merchandise can be seen in our merchandise section. Please contact any of our funeral directors and they will be happy to explain in detail or assist with any further questions.